As an architectural practice, we really enjoy creating spaces that are well-considered, inventive and functional. 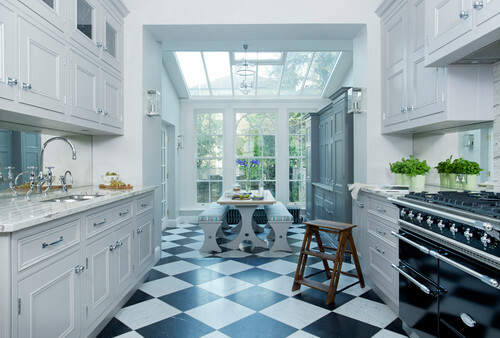 Something we always think about is how to maximise a property’s potential. This doesn’t always mean making a ‘grand gesture’ – what’s important is to design interventions that enhance owners’ enjoyment of their homes, and hopefully their quality of life as a consequence. Over the years we’ve encountered many conservatories that have been added to houses without due consideration to their function or form. This has led to them being spaces that are too hot in summer and too cold in winter, that obscure the view of the garden rather than celebrate it, or that are uncomfortable to occupy on a rainy winter night. Browse these examples of well-executed conservatories before you start planning yours. If you live in a stately home with many rooms leading onto your garden, then a traditional conservatory connected to one or two of these rooms can be a wonderful thing. But for most of us, the available space to link to the outside tends to be somewhat limited, so why not exploit that connection to the full? Think about the pleasurable elements of a traditional conservatory – a transitional space flooded with light, a place to sit and enjoy views to a garden – and add in a contemporary twist. 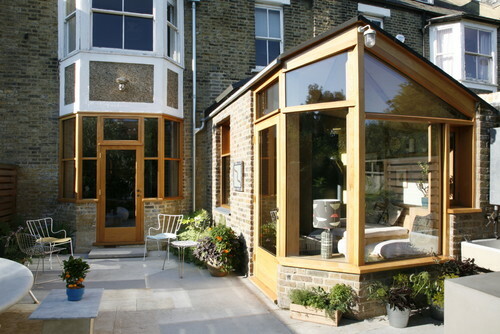 Rather than ‘sticking on’ a conservatory, create somewhere that spatially and visually connects the inside to the outside. A garden room can be just that – an actual room that can be used all year round, and that brings the garden into the heart of your home. 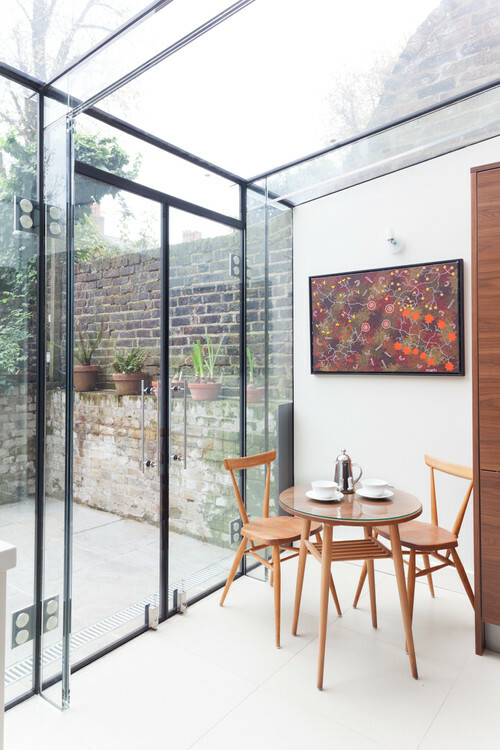 This lean-to glazed dining area has the character of a traditional conservatory, linking the kitchen to the garden, but feels distinctly like part of the space rather than something that’s been added on. The continuation of flooring and consistency of joinery detailing from one end of the space to the other makes for a unified whole. 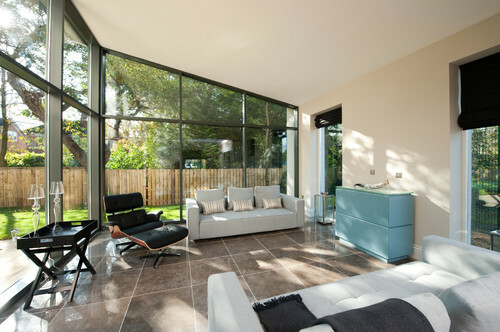 The ceiling in this garden room rises to meet the glass external wall on the left, emphasising the connection to the outside. Although there’s no glass in the roof, the space is flooded with natural light thanks to the scale of the perimeter glazing. Note the smaller full-height openings in the opposite wall, which give a more focused view to certain portions of the garden – a nice contrast to the more panoramic views through the other walls. Rather than having an entirely glass roof, the glazing in this garden room has been judiciously placed to bring maximum daylight to the interior. 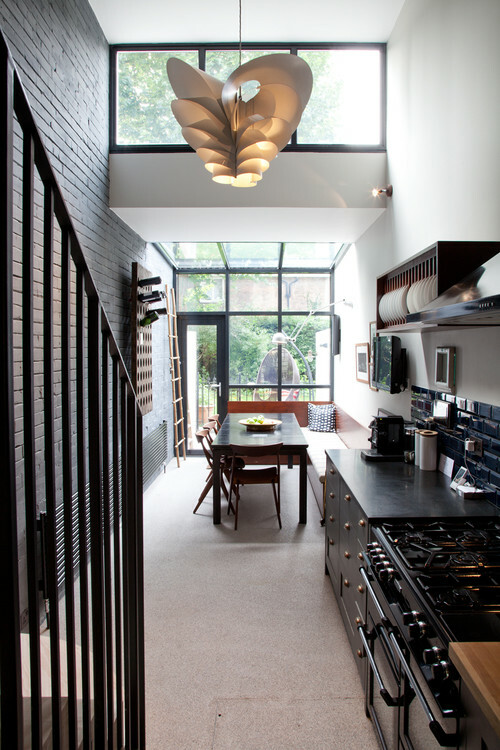 A vertical panel pulls light deep into the kitchen, while a gently sloped section brings a suggestion of conservatory to the dining area. The flooring – in this case poured resin – unites the whole space. Windows on two adjacent outside walls of this garden room create a strong connection between the interior and the garden, and a pool placed immediately below sill height reinforces this. The window height has been carefully considered to maximise views from the seating area, and the fringed window treatments, on concealed tracks, ensure the space will feel cosy at night. Roof glazing has been kept to a minimum in this garden room extension, and placed for maximum effect in terms of admitting light where it’s most needed. 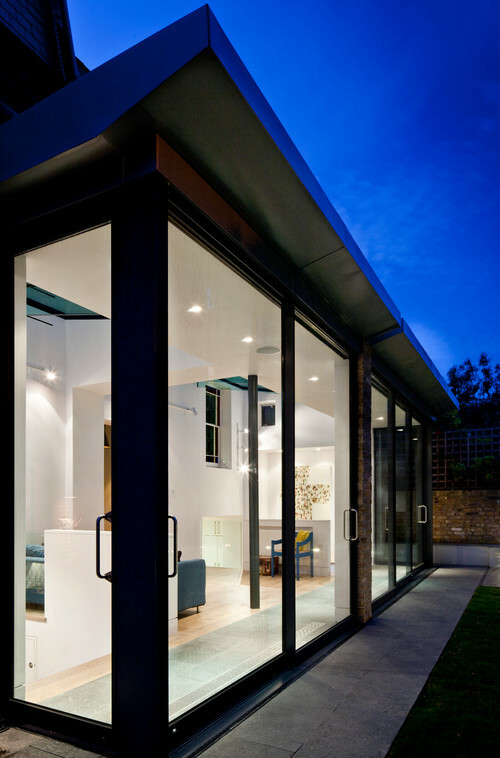 Extensive vertical glazing in the form of sliding doors makes the most of the connection to the outside, even at dusk. 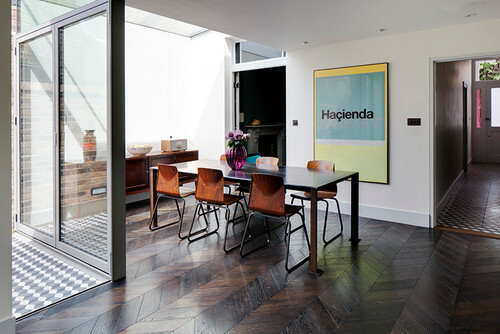 Always consider how a space with lots of full-height glazing will look when seen from the outside, and how it will be furnished – note here how the zone just inside the glass doors has been kept clutter-free. Narrow frames on this small, all-glass extension mean the boundary between inside and out almost disappears. Thanks also to the same flooring being used inside and outside, and by keeping the floors level with each other, the space feels much larger than it actually is. Although this addition is fairly modest in size, it cleverly incorporates several key elements that make the overall result something special: an interesting roof profile, a window seat, a connection between inside and outside, and a window set at an angle, which breaks down the bulk of an outside corner and sets up an interesting diagonal view to and from the courtyard garden.